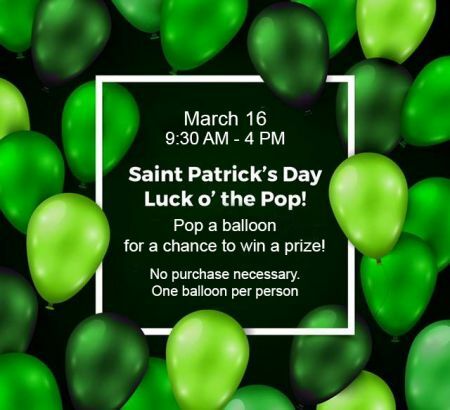 Pop a balloon for a chance to win a prize! No purchase necessary. One balloon per person.